On Friday, the BSE Sensex closed above 38,000 for the first time since September 14, 2018. 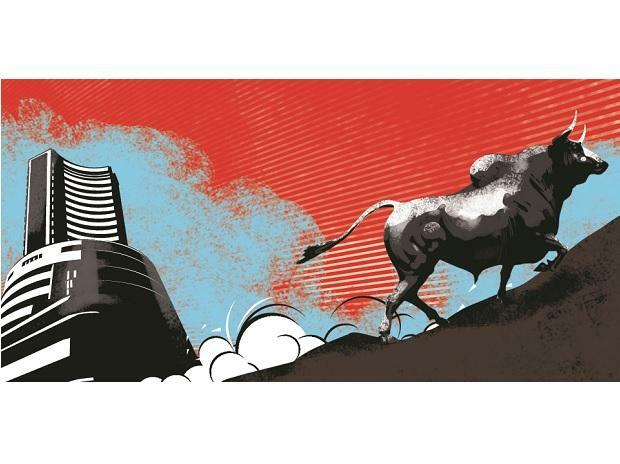 Since the beginning of this year, the Sensex has rallied 4.8 per cent, as shown in Chart 1. The recent rally has not been limited to just the large caps. In fact, as seen in Chart 2, even the beaten-down small and midcap indices have recovered of late. The Nifty Banking Index continues to outperform the broader market. But it is largely driven by private banks. As shown in Chart 3, the Nifty Private Bank Index has surged over the past year, even as the public sector bank index continues to languish. Over the past year, the major gainers have been Adani Power, followed by Bajaj Finance, Divi’s Laboratories, Aditya Birla Fashion and Muthoot Finance (Chart 4). On the other hand, the major losers have been DHFL, Reliance Power, Reliance Infra, Reliance Capital and Central Bank of India. Many have attributed the recent rally to the surge in inflows from overseas investors. As seen in Chart 5, over the past two months, foreign portfolio investors have pumped in close to Rs 32,000 crore in the Indian stock market. However, a closer look at the stock market data suggests that this rally isn't a one off. In fact, a report by KR Choksey shows that the markets often tend to rally ahead of elections. The report, which analyses data over the past 23 years, shows that the markets rise in the build-up and voting period between January and May and the post-election months of May to July (Chart 6). During these months, sectors such as IT, auto and capital goods tend to benefit the most (Chart 7).